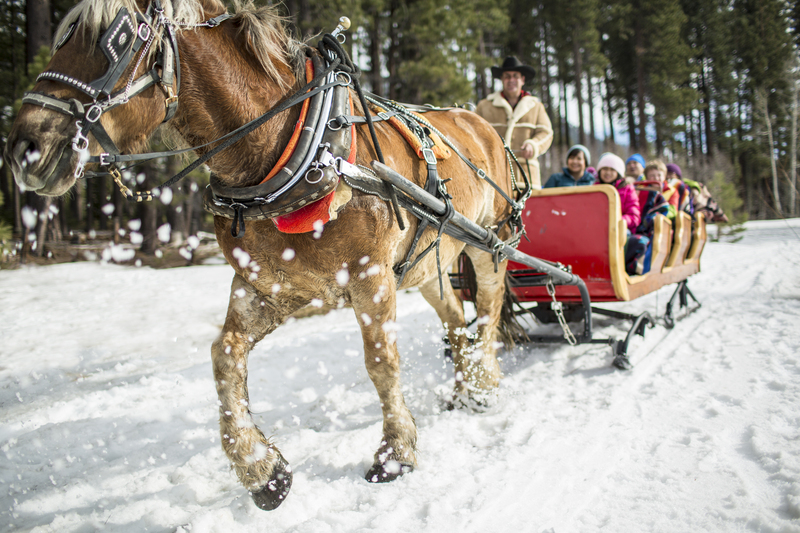 Jack Frost nipping at your nose, sleigh rides, building snowmen, snowball fights, and whooshing down the mountain, are all hallmarks of the holidays in Lake Tahoe. There are only a few weeks left until Santa makes his yearly rounds, and where will you be on Christmas Eve? Lake Tahoe Resort Hotel has all the trimmings prepared for a picture perfect holiday adventure. Lake Tahoe Resort Hotel is gearing up for a busy holiday season with early storms bringing accumulation to Lake Tahoe. Focus on family fun, while we take care of the rest. Christmas dinner is the order of the day at Echo Restaurant from 4 to 9 p.m. with a carving station, leg of lamb, and roasted island cod and market fresh tossed-to-order salad and soup station, and don’t forget a sweet to top it off with apple or banana foster with vanilla ice cream and a tasting of holiday treats. Lake Tahoe knows how to deliver a white Christmas with all the trimmings. And for those guests staying over the holidays, Lake Tahoe Resort Hotel will host a special happy hour hot chocolate bar for kids of all ages. Just next door at Heavenly Village the season is lighting up with Heavenly Holidays, a two-week festival featuring ice sculptors, holiday music, and a 16-foot interactive snow globe where kids can get their photos taken with Santa. It all starts on Dec. 19 and culminates Dec. 31 with a New Year’s Celebration that includes an outdoor concert, a 9 p.m. Gondola ball drop and fireworks show. Plan a special December trip with us. Book direct on the hotel website and save.